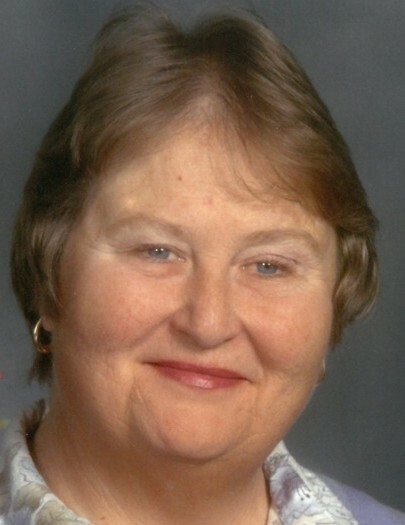 Rebecca “Becky” Warner, 69, of Bellefontaine, passed away on Saturday, March 30, 2019, in her residence. She was born in Bellefontaine, Ohio, on December 28, 1949, the daughter of the late Kenneth Pearl and Martha Ellen (Sheeley) Warner. She is survived by her daughter, Megan (Mike) Nicholl of Bellefontaine and two grandchildren, Trent and Kelsie Nicholl, a great grandchild, Max Noe, and a brother, Doug Warner of Bellefontaine. Becky was a 1968 graduate of Bellefontaine High School. She graduated with her bachelor’s degree in 1972 and her master's degree in 1978, both from Bowling Green State University. She majored in education and education administration. She was a long-time head life guard at the Bellefontaine Municipal pool and taught many kids in the community how to swim. She was a long time 4H member and supporter. Also, an avid bowler, she was inducted into the Bellefontaine Women's Hall of Fame and attended many state and national bowling tournaments. Even after retiring from the game of bowling, you could often find her behind the lanes watching and supporting the many local bowling leagues, youth programs, and special olympic teams. She was a former superintendent of Logan County Developmental Disabilities for 11 years and remained involved in the DD field until her passing. She was especially fond of her car adventures with Bev Edwards and Jacob Dew. Becky loved the performing arts and was a big supporter of the local Holland Theatre. She enjoyed quilting, spending time with her many friends, and the wonderful experiences she had with her Red Hatters group. A lover of all animals, she loved daily drives with her friend Tug. She recently continued to lead and teach as a local driving instructor for Ohio Driving School. Visitation will be Saturday, April 6th, from 9:00 a.m. to 12Noon at the First United Methodist Church, 201 N. Main Street, Bellefontaine. Pastor Ben Shaeffer will officiate a memorial service following visitation at 12Noon, with a luncheon for family and friends to follow around 12:30 p.m.